We know that staying hydrated is an important part of day to day health, but it can also have a big impact on your kids’ oral health. The amount of water your children are drinking can sometimes be difficult to determine; especially if they’re at school all day, or if they’re not old enough to communicate their thirst. In today’s post we’ll talk about why water is important for oral health, how to try and keep track of the amount of water your kids are drinking, and ways to encourage more water consumption. Mouths are happiest when they are hydrated. Drinking water not only washes away harmful bacteria and pieces of food, but it also helps your body create saliva. Saliva is our body’s way of washing away all of the things that are harmful to our teeth and gums, and we need adequate water to make enough saliva! So not only does water lend a helping hand with doing saliva’s job, it gives your body a tool it needs to create it. Keeping track of the amount of water your kiddo is drinking can be tricky, especially if they’re at school. We recommend having a designated water bottle for each of your kids that you fill before they go to school, and when they come home from school. Making them a part of picking out their reusable water bottle can be a fun way to involve them in the mission to drink more water. Choose one that is insulated, BPA free, and has a sturdy lid. Dr. Wagner likes the Camel Bak water bottle for his daily dose of hydration! He bought his at Fitzgerald’s Pharmacy. A fun way to encourage kids to drink more water instead of sugary drinks is to add fruit! Adding fruit to your water is a great way to add flavor, without adding too much sugar. Take your family to the Whitefish Bay Farmers Market and let them choose their favorites! We recommend making a big batch of fruit flavored water, letting it sit for a bit (you can even mash the fruit a bit to get more flavor) and pouring the infused water (not the fruit) into your water bottles. Putting fruit directly into the water bottles can make it tricky to drink, as bits of fruit can block the openings we drink out of. Having a large glass drink dispenser on your counter can also be a pretty addition to your kitchen, and is a good visual reminder for everyone in the family to take sips more often. Lastly, be sure to lead by example! Your kids will be much better water drinkers if they’re seeing it modeled by their parents. Put down the diet soda, and pick up your water bottle. 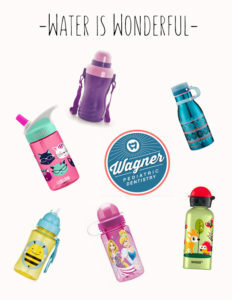 Tell us, do you have a water bottle you love? The earliest Norse writing called, ‘The Eddas,’ contain record of a tradition called, ‘tand-fe,’ or tooth-fee. For the first baby tooth lost, a child was given payment in exchange for the tooth. It was then worn around the necks of warriors headed into battle to bring them luck. This is likely the origin of the tooth fairy tradition in the United States. It seems that matter where in the world you go, there is a tradition associated with children losing their teeth. What a neat connection between different countries and cultures. So let’s take a little trip from our pediatric dental office in Whitefish Bay, to India where kids bury their teeth under a big tree in their neighborhood. Do you think the city of Whitefish Bay would mind all of our kids burying their teeth at Klode Park? One of the most common myths across many cultures is that of either a rat or a mouse coming to collect your child’s tooth. This is probably because rodent teeth don’t stop growing, and we want adult teeth to grow? In some hispanic cultures, he’s called, ‘Ratoncito Perez.’ Kids leave their tooth under their pillow, and he brings them a gift. In Italy, a tiny mouse called, ‘Topocino,’ does the job. In Scotland, France, and Belgium, a fairy mouse visits when a baby tooth is lost. In a 2013 survey conducted by Visa, it was found that $3.70 is the average payment per tooth in the United States. Is that more or less than what the tooth fairy is bringing to your house? Dr. Wagner wants to know! What are the kids in Whitefish Bay getting for their teeth? 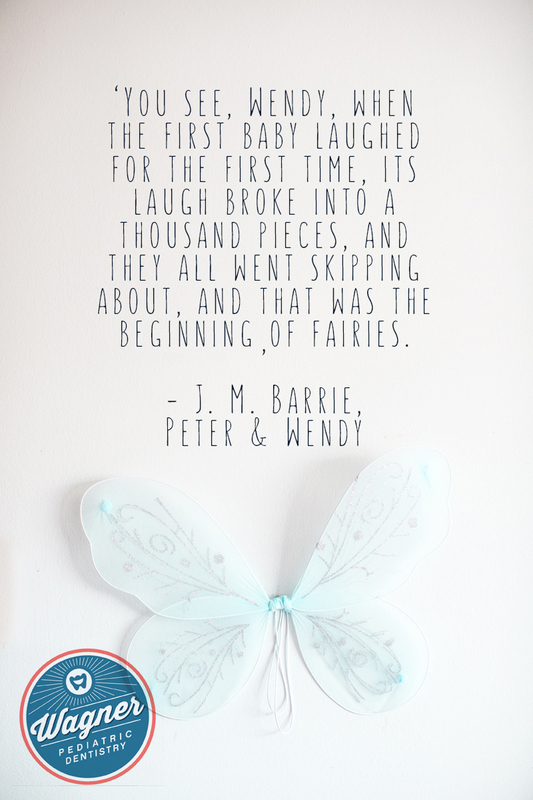 The idea of the tooth fairy is a great way to encourage your littles to take more care when brushing and flossing. Knowing that the tooth fairy values healthy teeth more than those with cavities can persuade sleepy brushers into another minute of teeth cleaning. One of our favorite things to listen to at Wagner Pediatric Dentistry is This American Life. The tooth fairy themed prologue to their kid logic episode is hilarious. A warning though, this episode could ruin the tooth fairy magic for your kids, so listen to it alone. If you want to add a little more magic to your kids tooth fairy experience, try writing a note from the tooth fairy that praises your kiddos for their good tooth brushing skills (or, points out room for improvement). You could also sprinkle a little bit of glitter on the window sill where the tooth fairy came in and out of the room, or use some glitter glue on the money the tooth fairy left. Just make sure you let it dry completely before putting it under the pillow. 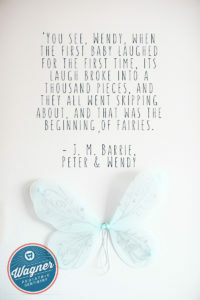 Do you have any fun tooth fairy traditions? We’d love to hear about them! 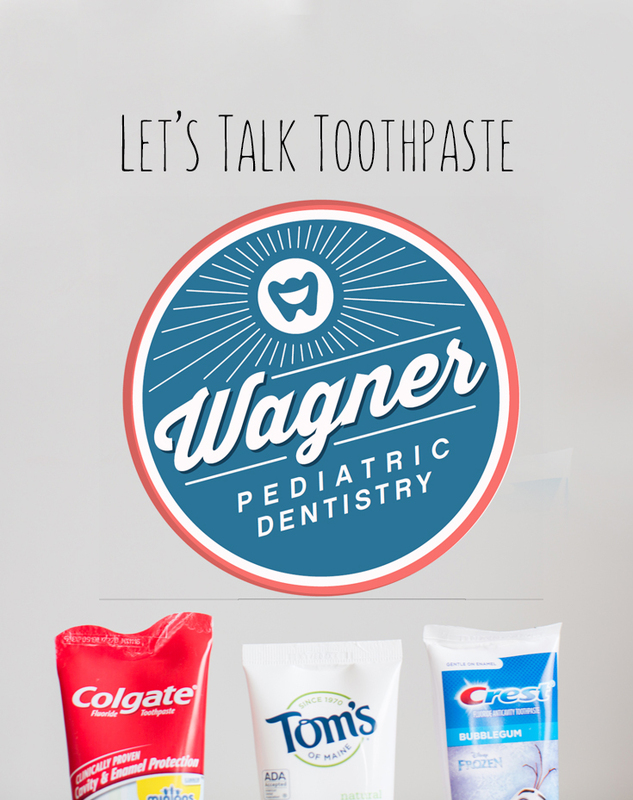 Let’s talk toothpaste with Dr. CJ Wagner of Wagner Pediatric Dentistry in Milwaukee, WI. 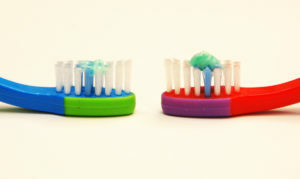 Fun fact; people have been using material to clean their teeth since 500 B.C.. It started with crushed burnt hooves and egg shells. Thankfully, things have improved since then and we now have a wide assortment of toothpastes to choose from. 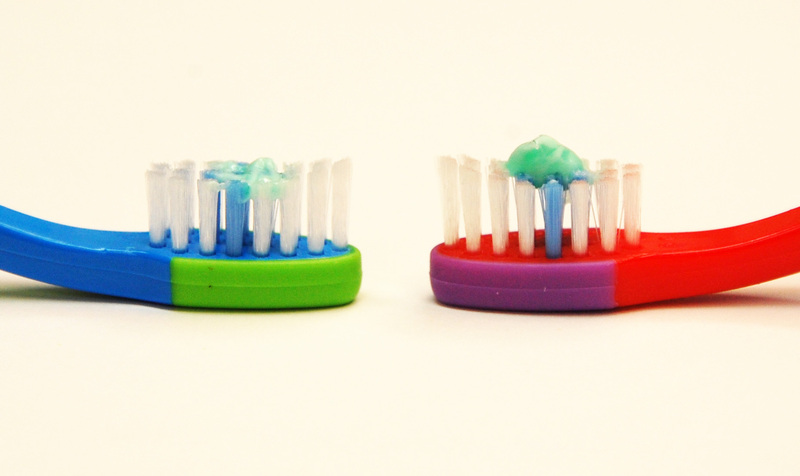 Ingredients in ‘natural’ and ‘conventional’ toothpastes are very similar. The choice comes down to your kids taste preference, and your preference with how they’re flavored and dyed. For this post we did a super scientific Wagner Pediatric Dentistry experiment (just kidding, we just walked a few doors down to Sendik’s and looked at the labels. Ha!) and compared Colgate’s Strawberry Smash Toothpaste, and Tom’s of Maine Silly Strawberry. In the past, some have said that fluoride toothpaste should only be used for kids old enough to know how to spit into the sink. However, the American Academy of Pediatric Dentistry, Wagner Pediatric Dentistry, and Dr. CJ Wagner recommend fluoride toothpaste be used from the start. The amount they recommend using varies depending on age. A tiny amount, the size of a grain of rice, should be used for kiddos two and under. This amount is safe if ingested. However, you should encourage your child to lean forward so that their spit and toothpaste fall out of their mouth. Once they get to the age of two, it’s easier to tell them to spit their toothpaste out and they can have a pea sized amount of toothpaste. If your kids have a sensitive mouth, or you notice that they’re resistant to brushing their teeth, try switching things up. It could be that a more conventional brand has an abrasive or detergent that is too harsh for them. It could also be that they prefer one flavor over another. Take a trip to the store together the next time you’re ready to re-stock! Giving your kiddos say in their toothpaste decision can be empowering, and make them more willing to keep their twice daily tooth brushing schedule. The toothpaste we use at Wagner Pediatric Dentistry is Crest Sparkle Fun. Dr. CJ Wagner likes it because it’s bubblegum flavored and his 4 kids love it. In honor of our 3 year anniversary, Wagner Pediatric Dentistry in Whitefish Bay, WI is sponsoring a FREE MOVIE Matinee at the world famous Fox Bay Cinema on November 4th, 2017 at 10 am. 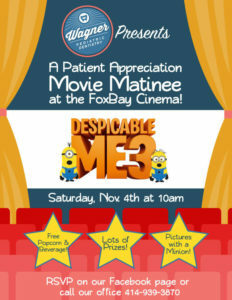 All current patients are encouraged to come to our free showing of Despicable Me 3! It doesn’t matter if you live in Mequ on or Shorewood, Whitefish Bay or Glendale YOU ARE INVITED! We are excited to offer Free Popcorn and a drink! We will also be giving away some amazing prizes. Don’t forget you can also take a picture with a Minion! Please RSVP by calling our office at 414-939-3870 or clicking our event page on FACEBOOK. When you RSVP, please tell us who will be attending (i.e. 2 adults and 2 kids). Dr. CJ Wagner is a board certified pediatric dentist serving the North Shore of Milwaukee. On September 8th- they celebrated their 3 year anniversary of serving the communities of Mequon, Whitefish Bay, Shorewood, Glendale, Fox Point and River Hills. 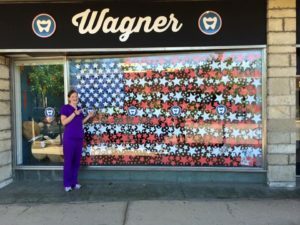 Dr. Wagner is committed to making the kids of Milwaukee smile as bigly and brightly as possible! Call our office at 414-939-3870 to schedule your child today for the smile of a lifetime! 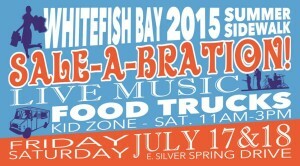 Be sure to come to the Whitefish Bay 4th of July Parade on Monday! The festivies kick off at 11:30am with the amazing parade. The party continues at Klode Park for games, music and food! We hope everyone has a great weekend! Whether you are celebrating in Milwaukee, at your in-laws in Mequon, or at a park in Glendale, we hope you have a safe weekend! Sarah Mischo, our lead dental assistant, designed this amazing flag for our front window. Come to the office to check out our amazing display! Dr. CJ Wagner is a board certified pediatric dentist serving the communities of Milwaukee, Whitefish Bay, Shorewood, Glendale, Fox Point, Bayside, Mequon, River Hills, Brown Deer and Wauwautosa. If you are looking for a children’s dentist for your child, check us out! We are minutes from Bayshore Mall. TAKE THE PLEDGE – Milwaukee Pediatric Dentist promotes a new movement towards healthy teeth! 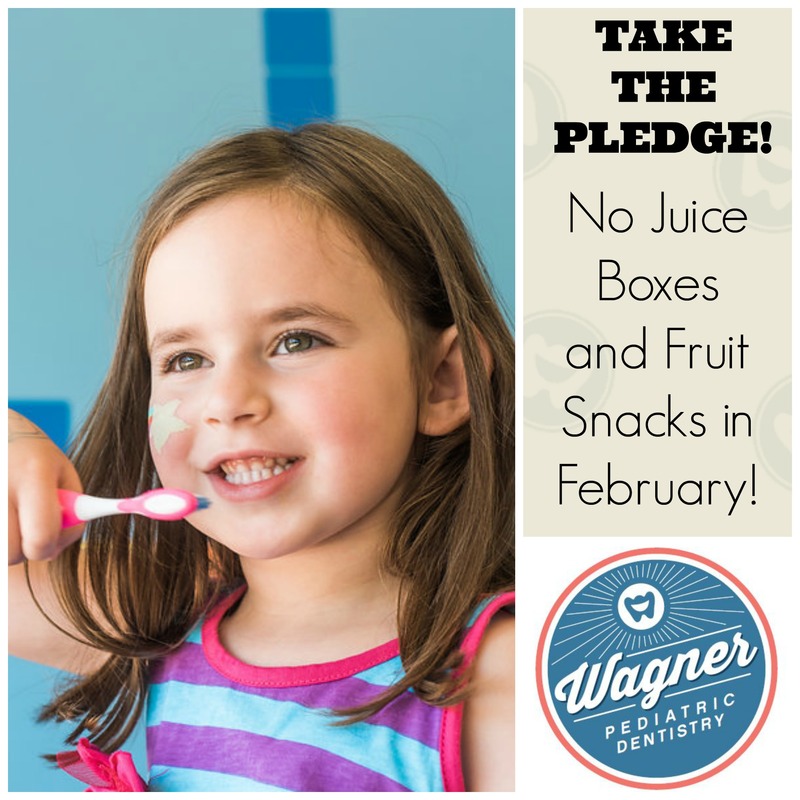 All through the month of February we are encouraging families to TAKE THE PLEDGE and take JUICE BOXES and FRUIT SNACKS off of their grocery lists. Childhood cavities are 5 times more common than asthma and 7 times more common than hay fever. One of the simplest ways to lower your child’s risk for getting cavities is to be aware of what they eat and drink. Juice and Fruit Snacks are some of the most unhealthy choices for teeth…and…if they’re not on your grocery list, they wont be in your cupboards! Dr. CJ Wagner, a Milwaukee Pediatric Dentist, has found that children who have access top Juice and fruit snacks will eat them. It’s not rocket science. Of course a child will choose a fruit snack over a fruit…snack (get it? a FRUIT snack). 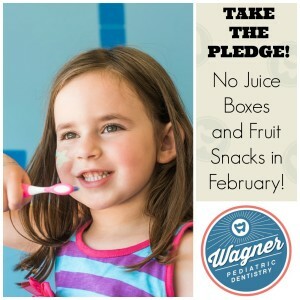 So…TAKE THE PLEDGE and don’t buy juice boxes and fruit snacks in February. Be sure to swing by Silver Spring Dr. in Whitefish Bay this Friday from 5-8pm and enjoy so many exciting events on our street. the parade is from 6-8pm and we hope to see the Nutcracker dancers in our window again. Wagner Pediatric Dentistry is Whitefish Bay’s only Board Certified Pediatric Dentist. Dr. Wagner is a native of Milwaukee and the North Shore. Come check us out and your kids will be smiling BIG! Why your kids should see a Pediatric Dentist! There are so many reasons for your children to see a Pediatric Dentist for their care. Dr. CJ is not only specialty trained in Pediatric Dentistry from Children’s Memorial Hospital/Northwestern University, he is also a Board Certified Pediatric Dentist. He is one of only 37 in the entire state of Wisconsin! Dr. Wagner is a board certified pediatric dentist (children’s dentist) serving the Milwaukee area- including Whitefish Bay, Shorewood, Bayside, Mequon, Fox Point, Brookfield and Grafton. 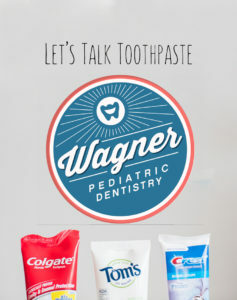 Please visit www.wagnerpediatricdentistry.com for more information.